was his sales technique that evolved into Straight Line Persuasion system. What is the magic that allowed him to outsell other brokers and cheat so many people? Is the Wolf of Wall Street Movie Real Story? story, eg. beautiful Jordan Belfort’s wife was Nadine not Naomi and looked much more 80s than Robbie Margot on the screen. But what you may think is exaggerated is not, Belfort really used to have those crazy parties, and he was famous for his speeches. However, he was not nicknamed Wolf, this is a legend he builds for himself nowadays. Today Jordan Belfort is a motivational speaker. He sells his persuasion system called Jordan Belfort’s Straight Line Sales Psychology, and he pretends to consult business organizations on almost everything, including ethics. While we would not recommend former felon as an advisor for ethics, the sales technique is another story.
. Belfort’s script and approach are very similar (and maybe even based on) to Martin D. Shafiroff’s approach. Shafiroff, who was working in the same time and environment as Belfort, has analysed the sales process during each call. He discovered there are three stages of each sales call: opening, presentation and close. According to Shafiroff’s observation average broker focused too much on the opening and presentation of the offer. The successful one was focused on the closing phase instead, using only few first minutes on the opening and presentation of the offer. is still considered a Bible for telemarketers. While cold calling times are gone with our big databases and CRM systems, good pitch is valuable even today. 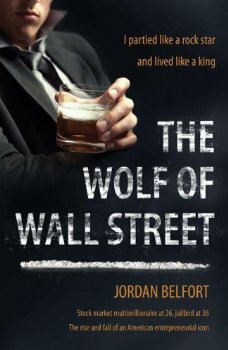 In the Belfort’s times, scripts based on Shafirrof’s findings were widely distributed in top Wall Street companies, and any new broker was introduced to the concept. After Black Monday, Belfort went from Wall Street to shady Penny Stocks world. There he could build up his own script and persuasion techniques. Belfort’s Straight Line is more sophisticated than what you can learn from Shafiroff’s book. It is much more emphatical, as Belfort introduces his own “psychological” concept of a human divided between “Inner” and “Outer” worlds. Jordan Belfort advises to combine “inner” state management, beliefs and focus control with “outer” marketing, persuasion etc. The ultimate goal of the salesman should be to remain focused on the straight line between opening of the call and closing of the deal. Whatever does not go to the closure within a conversation is a loss. While according to the Wolf of Wall Street salesman still has to get a “rapport” with customer, sales pitch should focus on the topic, not on friendship or relationship. the client must see salesman as an authority figure. During the presentation phase Jordan Belfort focuses on tonality, which clearly shows he is a man of the phone. By controlling voice in 8 different tonalities salesman should keep customer on the straight line to the closed deal. In presentation phase, it is important to gather intelligence – or just learn about the customer’s needs. Straight Line persuasion system evolved to include also basics of body language, appearance, mirroring techniques, but they are bit patched to it, and are not core. They must love your product. They must love your company. Those are topics salesman should have in his script. Closing of the deal comes with achieving these buying thresholds. Belfort introduces also Pain Threshold (Client understands that he needs to buy), and Action Threshold (Client feels the urge to buy). By leveraging the problem, consulting or just letting consumer to think while on the call, a salesman can finish the Straight Line process with a deal. As one can see, Jordan Belfort’s Straight Line system is not a revolution, but an evolution of old telemarketing techniques mixed with some new age psychology and personal experience of Wolf of Wall Street. There is no magic in it, but the tool may be useful as it focuses sales force on what really matters. Do you think it will still work today? Awesome post. I just watched the Wolf of Wallstreet a few days ago and was inspired by the cold calling techniques that were used in the phone. I now want to adopt these methods more proactively. It is a shame that the books you recommended aren’t available on the kindle, but hopefully they will be soon. If you know any other good book recommendations that are on the kindle, could you please share? Hi Dave, there are so many good books on sales. My top three would be probably The Sales Bible by Jeffrey Gittomer (no kindle though), Zig Ziglar’s Secrets of Closing the Sale, and last but not least To Sell is Human by David H. Pink… And what are your recommendations? I like Jeffrey Gittomer on Youtube. The other 2 I didn’t know about but I will check them out. I’m Just starting out as a young telesales operative. I want to become the best, the wolf of Wall Street has given me some superb tips, I’d like to have a book of his that will help me even more, I found one on Amazon, ‘Sales & Persuasion Lessons from the Wolf of Wall Street: Jordan Belfort’s Secrets for Successful Closing’ is this one you’d recommend? Thanks, Jack. No remorse from the slimey belfort to the victims who lost their life savings. Disgusting. He should be serving 22 years!